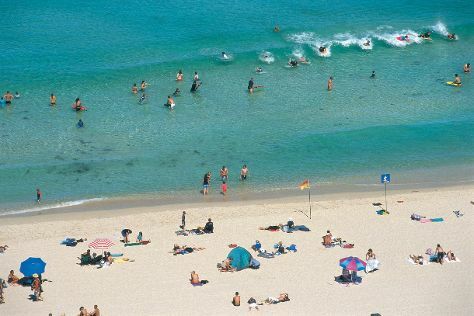 Your itinerary includes some good beach time at Scarborough Beach and Warnbro Beach. You'll discover tucked-away gems like Western Australian Maritime Museum and Fremantle History Walking Tour. Venture out of the city with trips to Fremantle (The Shipwreck Galleries, The Fremantle Round House, & more), St Paul's Anglican Church (in Jarrahdale) and Old Blythewood (in Pinjarra). On the 8th (Fri), give your taste buds a day to remember with a local gastronomic tour. And it doesn't end there: take in the spiritual surroundings of St. Mary's Cathedral, don't miss a visit to St Patrick's Basilica, contemplate the long history of Old Court House Law Museum, and take in the architecture and atmosphere at St John's Anglican Church, Fremantle. To see where to stay, reviews, photos, and more tourist information, read our Perth holiday planning site . Melbourne to Perth is an approximately 6.5-hour flight. You can also take a train; or drive. The time zone difference when traveling from Melbourne to Perth is minus 2 hours. When traveling from Melbourne in March, plan for somewhat warmer days in Perth, with highs around 34°C, while nights are about the same with lows around 19°C. Wrap up your sightseeing on the 9th (Sat) early enough to travel to Hamelin Bay. Hamelin Bay is a bay and a locality on the south-west coast of Western Australia between Cape Leeuwin and Cape Naturaliste. Hamelin Bay Jetty and Water wheel will appeal to history buffs. Museum-lovers will appreciate Swallows Welcome Art Studio and Augusta Historical Museum. 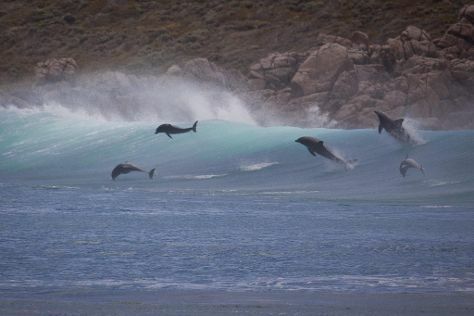 Take a break from Hamelin Bay with a short trip to Surfers Point in Prevelly, about 30 minutes away. There's lots more to do: explore the fascinating underground world of Mammoth Cave, visit a coastal fixture at Cape Leeuwin Lighthouse, see the interesting displays at Bellview Shell Collection, and take in the dramatic natural features at Jewel Cave. To see traveler tips, maps, more things to do, and more tourist information, use the Hamelin Bay trip planner . You can drive from Perth to Hamelin Bay in 3.5 hours. Wrap up your sightseeing on the 12th (Tue) early enough to travel to Dunsborough. Dunsborough is a coastal town in the South West of Western Australia, 254km south of Perth on the shores of Geographe Bay.Dunsborough is a popular tourist destination for Western Australians; in 1999 it was voted the state's best tourist destination and in 2013 awarded the Top Tourism Award for Population Under 5,000. Discover out-of-the-way places like Yallingup Beach and Meelup Beach. Museum-lovers will get to explore Sensei Pots Art Gallery Yallingup and Christian Fletcher Gallery. Explore Dunsborough's surroundings by going to Harvey (Stirling Cottage & Harvey Internment Camp Memorial Shrine). The adventure continues: Head underground at Ngilgi Cave, learn about winemaking at Wise Wine, take in the dramatic natural features at Canal Rocks, and enjoy the sand and surf at Smiths Beach. To find traveler tips, ratings, and more tourist information, read Dunsborough trip planner . Traveling by car from Hamelin Bay to Dunsborough takes 1.5 hours. Finish your sightseeing early on the 17th (Sun) so you can travel to Port Lincoln. Koppio Smithy Museum and Axel Stenross Maritime Museum will appeal to museum buffs. Visit Fishery Bay and Lincoln National Park for some beach relaxation. You'll find plenty of places to visit near Port Lincoln: Coffin Bay and Farm Beach Boat Hire (in Mount Dutton Bay), Minniribbie Farm (in Wangary) and Coffin Bay (Food Tours & Coffin Bay National Park). There's still lots to do: kick back and relax at Sleaford Bay, look for all kinds of wild species at Mikkira Station, and get great views at Winter Hill Lookout. For maps, where to stay, ratings, and tourist information, refer to the Port Lincoln trip builder site . You can do a combination of bus and flight from Dunsborough to Port Lincoln in 11 hours. Another option is to drive. Traveling from Dunsborough to Port Lincoln, you'll lose 1 hour due to the time zone difference. Wrap up your sightseeing on the 23rd (Sat) early enough to travel to Adelaide. 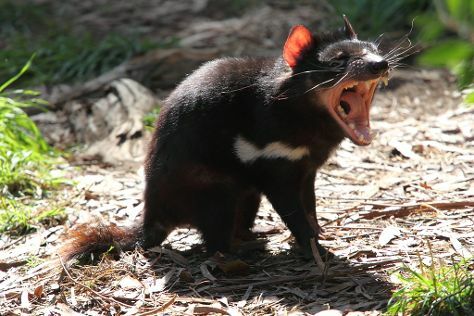 Get outdoors at Cleland Wildlife Park and Granite Island. Museum-lovers will appreciate South Australian Museum and Clare Valley Art Gallery. Get out of town with these interesting Adelaide side-trips: Horseshoe Bay (in Port Elliot), Martindale Hall Heritage Museum (in Mintaro) and Vine Art Studio, Gallery & Therapeutic Massage (in Leasingham). There's much more to do: steep yourself in history at Carrick Hill, wander the streets of North Terrace, make a trip to St Aloysius Church, and take an in-depth tour of National Railway Museum Port Adelaide. To find where to stay, traveler tips, and more tourist information, read our Adelaide travel site . Traveling by flight from Port Lincoln to Adelaide takes 2.5 hours. Alternatively, you can do a combination of car and ferry; or take a bus. Expect a daytime high around 30°C in March, and nighttime lows around 18°C. Wrap up your sightseeing on the 30th (Sat) to allow time to travel to Melbourne. 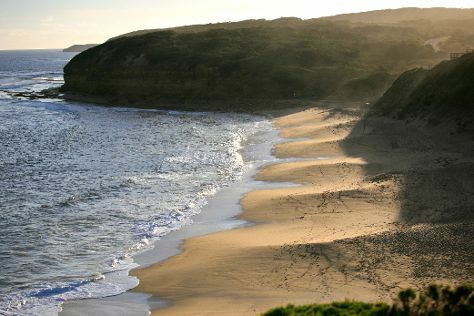 We've included these beaches for you: Eastern Beach Reserve and Bells Beach. Appreciate the collections at Art Gallery of Ballarat and Immigration Museum. Venture out of the city with trips to Point Lonsdale Lighthouse (in Point Lonsdale), Castlemaine Diggings National Heritage Park (in Chewton) and 13th Beach (in Barwon Heads). There's much more to do: contemplate in the serene atmosphere at St. Patrick's Cathedral, don't miss a visit to Geelong Gallery, take in the awesome beauty at Dandenong Ranges National Park, and take in the exciting artwork at Stony Creek Gallery. To find maps, traveler tips, more things to do, and tourist information, use the Melbourne trip itinerary planning tool . You can fly from Adelaide to Melbourne in 3.5 hours. Other options are to drive; or take a train. Expect a daytime high around 30°C in March, and nighttime lows around 15°C. Finish your sightseeing early on the 6th (Sat) to allow enough time to travel back home.